Should I Tile Under Kitchen Cabinets? Like many homeowners today, you are probably wondering whether it’s worth it installing tiles under your cabinets or not. Unfortunately, there’s no straight answer for this. 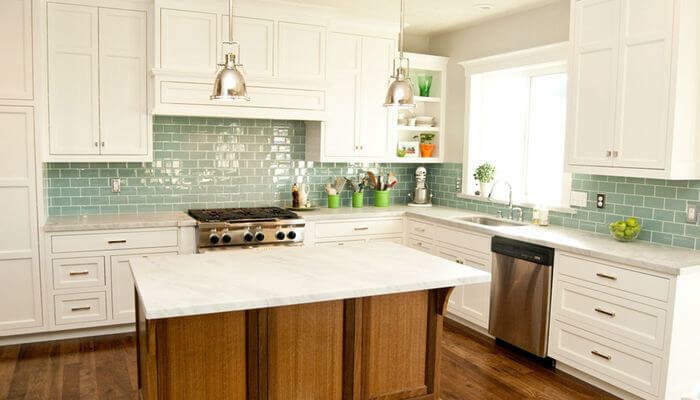 The decision to place tiles under your cabinets depends on a number of things. Your home and kitchen layout together with its subfloor plus the materials and individual preferences are the foremost things you should evaluate first before you consider tiling under your cabinet. 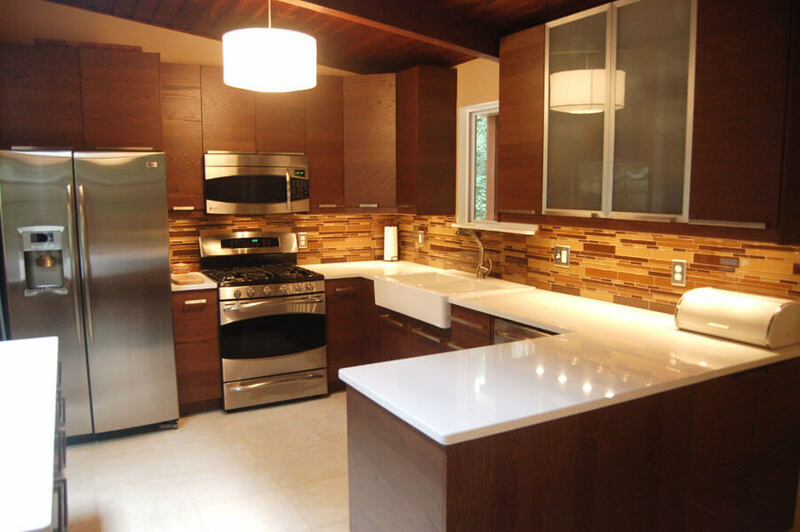 To date, there exists no tile industry standard that specifies when to install the cabinets. Understandably, many worry about aspects such as deflection and compression, among many other things. But these are things a structural expert or kitchen design professional can review and explain better. Usually, their work involves determining the suitability of the different structures plus the substrate needs before final decisions are reached on the type of tile to be used and how to carry out the installation itself. If the tile installation is planned properly and correct engineering basics observed, the time of tile installation (before or after cabinet installation) and floor type (wood or concrete) won’t really matter. Nonetheless, each approach has it’s unique attributes, benefits, and shortcomings. We’ll take a brief look at each. Installing the tiles before cabinetry has several advantages. First, it lessens the cabinet installer’s job as no sealants or finish cuts will be required. Fewer details mean there will be very little trim work. Secondly, the water leaks from the kitchen appliances won’t lead to severe damage and lastly, you will have more flexibility remodeling your kitchen. However, if you intend to add waterproofing to the installation, there will be a few things to consider when it comes to the mounting process, especially if you intend to fasten the cabinets to the floor. One major downside to installing tiles before cabinets though is that your finished floor will probably be fully accessible and this could lead to potential abuse by other parties. The great benefit this approach has is that it largely takes into consideration the compression aspect before any tile installation is done. This means that the finished installation will certainly be under reasonable force of pressure. However, one should prepare to spend more time on the details, including the trim work. Also, with this approach, enough care should be taken to ensure there’s sufficient clearance for the built-in appliances. 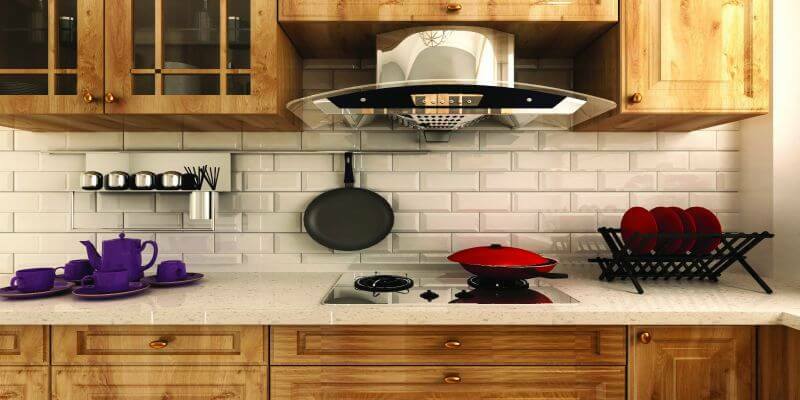 Before carrying out any tiling work, it’s important to find out if your home, especially your kitchen, is structurally adequate to support tiles. For instance, if the floor of your kitchen is covered by vinyl and you intend to replace it with tiles and perhaps add new countertops, it’s best to determine whether your structure will accommodate this additional weight. Granite countertops, for instance, can add more than six hundred pounds. Failure to consider such an aspect could see you end up with a damaged home. 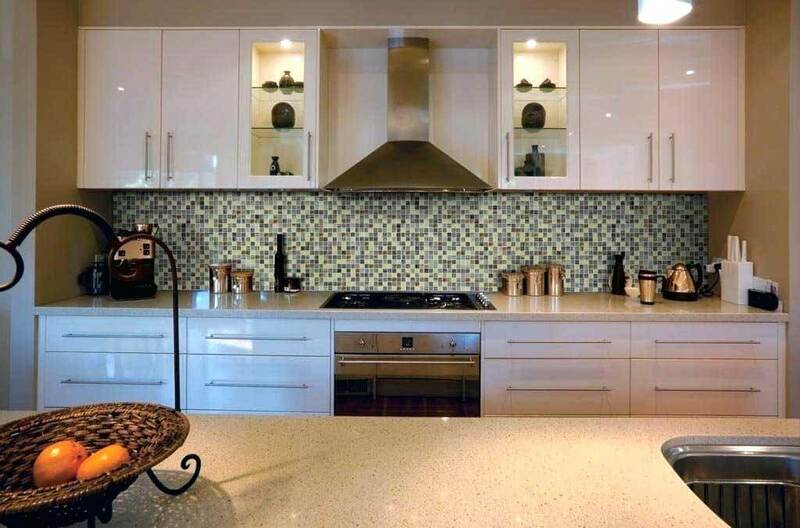 Installing tiles under your cabinets also borrows the same process. 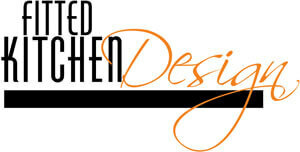 Seek the help of kitchen design professionals in determining the floor load in your kitchen. This will include putting into consideration things such as cabinet size and weight, tile assembly, and countertop details. Live load (temporary weight) will also have to be considered. Once the details are out, the kitchen designer will be in a position to carry out the tiling in a way that won’t affect the functionality and state of your kitchen and home. With all these factors well figured out, it shouldn’t be any harder for one to decide whether they should tile under their kitchen cabinets or not.